PREPARE YOUR PROPERTY FOR MARKET– When selling a multi-family apartment building or a single family residential home for clients I recommend a few basic steps. Remove the clutter, paint and clean the property including any tree work or exterior landscaping. First impressions are the most important along with curb appeal and location. FOR COMMERCIAL OFFICE SPACE THINK OUTSIDE OF THE BOX– Turn a large vacant area into a pleasant work environment by renting office furniture. If the owners have moved their business to another location ask them to leave some cabinetry and office furniture to enhance the property for showing. MULTI-FAMILY UNITS – When 100% occupied and subject to inspection take a video and walk the property to show interior and exterior amenities. If there is a vacant unit it may be important to stage so a perspective buyer can visualize how they can market as a future rental. PROPERTY INSPECTIONS – Allows the sellers to be realistic about their property in determining a price that will sell and the buyer knows what they are purchasing allowing for a successful close of escrow with very few surprises. PRICE YOU’RE LISTING TO SELL –It is extremely important to understand sales comparisons in your area. In addition, knowing any costs associated with termite damage from the property inspection reports and obsolescence or deferred maintenance all are important factors when determining a price to market your property. OFFER DATES STILL SUCCESSFUL – I believe for my sellers the aggressive marketing strategy for an Offer Date is still very effective. Often this strategy is very effective because buyers and agents will preview the property sooner than later. Especially on residential properties you can create a large Open House frenzy. When a home is priced correctly and shows well you can still get multiple offers. REQUIRE ALL BUYERS TO BE PRE-APPROVED AND READY TO CLOSE– This is a crucial point in any successful close of escrow, a strong buyer with a strong deposit is often more important and the highest price offer. PERSONALLY ASSIST WITH THE WALK THROUGH FOR A BUYER OR SELLER OF A MULTI-FAMILY APARTMENT BUILDING– It is extremely important to explain or answer any questions that a potential buyer will have during this process of the transaction. I recommend that if an owner is not the hands on manager they should make sure the person who knows the property is present to answer any questions from the buyers. BROKER EITHER REPRESENTING THE BUYER OR SELLER– It is extremely important to be present at the escrow signing to answer any questions and to see that all questions are answered by the escrow company as well so your clients can close escrow on time. 1) Confirm that the Property Management Company belongs to a local Apartment Association. 2) Ask them to show you their application, rental forms and leases along with credit reporting forms used when leasing an apartment. 3) Confirm what types of marketing media do they use in the local market to expose any vacant units? Look to see that the ads are correct and updated frequently. 4) If your apartment building does not have an on-site manager how will they show the units to perspective residents? 5) What are their sources for rental surveys to determine the best possible rental amount and required time to turn a unit? 6) What local businesses, universities and hospital contacts do they have to expose your units to potential residents who will need housing? 7) What are their current vendor contracts and have them show all costs for turning a typical unit with just painting and cleaning. 8) On more extensive work for a apartment turnover how are they prepared with vendor contracting and appliance costs to best turn a unit efficiently and cost effectively. 9) Ask for references so you can check their credibility and always survey the market to see if they have competitive pricing. 10) Drive by a few of their existing properties they manage and always look in the carports to see how well maintained and clean they are during the day and at night. Why are some professionals successful and always have clients who refer them to friends, family and business associates. The answer is very simple because they go out of the nine dots and perform what they say they will accomplish and in the end their clients are extremely happy. This is true in Real Estate or any other services where customer satisfaction is extremely important. In Real Estate you must always be professional and have a team of experts who can accomplish one main goal and that is a Successful Close of Escrow for your clients. The experience needs to be easy for your clients by having your team at the escrow company, the mortgage company, inspection companies all meeting their respective deadlines. Your availability and easy access to answering all of your clients questions is the key to meeting their exceptions. I am always pleased to hear from my clients that they had a great experience because often times they hear that purchasing and selling a property can be a hassle. The most rewarding feeling for me is when a potential client calls to discuss selling, purchasing or exchanging their property because they have been recommended by one of my clients because they had such a positive experience. I always make sure that my First Time Buyers understand the importance in reading and understanding all the reports, their deadlines for contingency removals and the importance in meeting all required deadlines in the contract because it is extremely important that they understand the entire process. I have also had great experiences working with other agents on transactions and because of my expertise and successful close of escrows; they refer me to their clients when they need my expertise in an area or for a specific type of property. I am extremely fortunate because I have a passion for Real Estate and enjoy every minute in helping my clients achieve their Real Estate goals and they tell other friends, family and associates. When representing the seller, buyer or lessee in a real estate transaction it is often very important to work with the planning department in a particular city that the property is located to investigate and understand if any issues or problems will occur after the transaction. It is always a good idea when in doubt to verify if any permits etc. have been recorded if a seller does not have that type of records available. I have found when these questions are asked that the personnel in the city-planning department are extremely knowledgeable. When a client goes for their business permit they should always advise that department what, how and where they will conduct their business. A few examples that have protected my clients in the past are as follows. On a new lease the Lessor wanted to lease to a dance company giving lessons and who had a requirement for client parking. It was important for us to advise the Lessee that they needed to check with the city planning department and in this particular situation and in fact a conditional use permit and a variance permit were required by the planning department. We then wrote the lease with the necessary time frames to get the permits. Another situation came about while helping a client with an FHA loan and the particular property they were interested in had a garage conversion. The end result was by obtaining the permits that showed the garage had permits with approvals by the city, the property was then approved with the additional living space. Another important part of having a client work with the city planning department was a situation where a client was purchasing a duplex and wanted to remodel and add on to the property. Before purchasing the property we checked once again with the planning department only to find out that there was a percentage of building to land restriction. My client was able to advise the architect and make the addition within the city guidelines. My experience is that you always want to check when in doubt to make sure the client is aware of their options and this way any issues can be addressed prior to the close of escrow. There are various stages in people’s lives. For many it is reflecting back on their first home purchase and their business career starting and then building a life for their family. Now this generation of Baby Boomers is now apart of a new sub-group called “Empty Nesters.” Their new life will often include a shift of life style and priorities. This often will affect their real estate properties. Many of my clients have decided to retire and begin traveling and therefore a large home is no longer required or wanted and they choose other alternatives for their real estate holdings. They often sell their personal residence and many have purchased investment properties that provide an income stream. Another scenario is that they would like to help out their children and believe investments in multi-family apartment buildings provides a good niche. They can rent one of the units to their children while renting the others to help pay the mortgage or property taxes. For others they might be on a fixed income and want to sell their personal home and decide to buy a duplex that offers them a home with little up keep in a great area and they can rent the other unit for added income. Often when clients retire they might want to sell their business and possibly their commercial office or warehouse property. Leasing is also a great option if they do not want to sell their commercial property and they can get a favorable lease. There are so many alternatives for the empty nesters shift of life style that will impact their need to purchase, sell, or lease their personal, investment and commercial properties. As a professional Real Estate Broker it is extremely rewarding when clients ask for my assistance in finding them alternative properties so they can embark on this new journey in their life. Graditude, smiles and excitement for your client who has just closed escrow and is moving into their new home is the reward every real estate professional feels in a job well done. After getting to know your client or clients it is very important to really understand, listen and often help them to understand the other person’s requirements for their new home. For example one may want an easy commute while the other person wants a certain type of living preference. The process is one where you as their professional real estate broker become the manager or even the coach as with the manager of a sports athletic team. You will bring all the players together to execute the plan and ultimately the clients will decide and choose their home that fits their requirements. They will appreciate your expertise in showing them homes that fit their criteria and providing information regarding locations. Once that decision is made to make an offer on their new property that is when you must become the facilitator helping and assisting with the inspections, working with escrow and helping them to have their pre approval letter from their mortgage broker. The difference of winning or losing the home often can be the direct result of the real estates professional working and coordinating all the efforts of escrow, property inspectors and following up with the client and mortgage broker to make sure the loan approval process is meeting contract dates. Statistics are very important in analyzing most decisions. The expertise of a professional real estate broker or agent closing escrow and closing on time is a very important goal and one I always take very seriously. The important thing to remember whether it is your first home purchase or second look back to that purchase and remember it may have not been the perfect house for size but it was perfect when you made that house a home. It will define your tastes motivate you to work hard and be proud to call it home and most of all you build your dreams and future while living in that home. My personal advice is to choose wisely on the location and your life style requirements. That is why we real estate professionals have a smile on our face as well and experience the ultimate thrill for a job well done. Curb Appeal and First Impressions Make All The Difference so always Paint, Paint & Paint. There are a few tips when getting proposals for paining a home. One example is to simply remove shutters from the outside of the home, any facades or awnings that are damaged that will require extra preparation during painting. These simple ideas can save hundreds of dollars. The key with interior painting is to always remove old hooks. This seems very logical but many times I see new walls and ceilings painted quickly and hooks are left in a home or even old drapes are put back up after painting. I always recommend removing old rods and dated shades and draperies. Painting or removing old dark wood paneling can brighten up the room. One inexpensive way to update a home is to remove old wallpaper and paint in warm neutral colors. Just by adding baseboards and crown molding the rooms have a more finished custom look. Often inexpensive blinds are the answer to privacy rather than any custom shades or draperies. It gives an open appearance and gives an open feeling. The condition of the roof and fencing is very visible and if either is damaged or needs repair it can give a negative first impression. Often a contractor can repair these items for prior to a sale or lease. Light fixtures can be very inexpensive but having new modern light fixtures and a ceiling fan in kitchen even bedrooms is an upgrade to many homes, especially in warm areas if the home does not have air conditioning. This upgrade is essential in leasing rental properties as well. Replacing carpeting is not as easy of a decision. Often good carpeting can be cleaned verses buying a new carpet. Remember to check to see if there are existing hardwood floors under the carpeting. If so, it may prove more economical in the long run to refinish the existing hardwood floors. Hardwood floors can be a very important amenity. 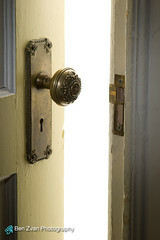 First impressions are very important so always think of approaching the front door to enter. Is the area clean and inviting? The purchasing of flowers and planting with new topsoil along the pathways can give everything a fresh look. Well light properties give a warm inviting home feel so purchasing outside light fixtures can be another inexpensive upgrade. furniture and remove large pieces of furniture that take up room. A staging professional is great at advising those items to remove and ways to accessorize with a few paintings to prepare the home for the open house. Remodeling is a personal assessment and with each property up to the seller. New Energy Efficient Windows can add value to a home and may be necessary if current windows are not functioning properly. I am a firm believer that a roof inspection at minimum should be done prior to listing the property. I recommend the seller have all inspections done including termite and property as well as roof. This way both the seller and the buyer are aware of the condition of the property and therefore no major surprises will occur during the close of escrow. My suggestions are basic recommendations that have proven to be successful time and time again. Our world looks like something out of a Jetson’s T. V. show of the past. But, perception is critical in our business world and that may hold the key to our success for us in our daily transactions. Our immediate response to questions will add to our credibility and confidence to those we are dealing with on any transaction. Recently I was involved in two transactions where I was representing first time homebuyers on the purchase of their homes. These clients had two different loan officers both were equally qualified and very professional and I knew they would both get the job done. I noticed that one of them responded to my e-mails immediately and I felt in control of the situation. Her quick response added credibility and professionalism in my eyes. I knew from experience both buyers would be approved and close on their homes but the availability and quick response from the person utilizing a Blackberry made my job easier thus allowing me to be more efficient. Technology often takes away from the personal touch and personalized service but I am a believer now that I have a Blackberry that allows me to communicate more effectively with everyone that I am doing business with and therefore they have a pleasant experience. Our Realty World Slogan is “Envisioning the future of real estate and embracing the changes”, and technology like the Blackberry has changed the way I do business. I believe I am making a difference in others lives with a positive experience. Yes your rents in 2008 were higher and prospective tenants were lining up with their applications and their money in hand. But, here we are in 2009 and you are faced with a vacancy and what to do to with your unit. My personal experience in down markets is that I recommend that all owners should invest wisely in their renovations. To compete your apartment needs to be extremely clean, freshly painted and updated with appliances or you will sit at an empty screen with no e-mail responses. Location, Location, Location once was the only major requirement for prospective tenants but remember if you renovate and market your property well you will be successful in renting your apartment, condominium, house or townhouse.